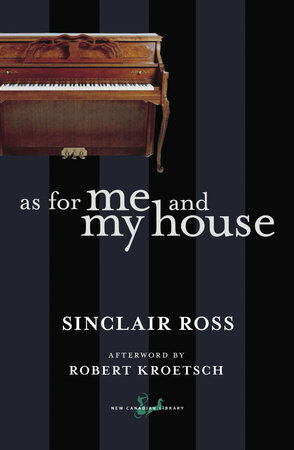 The town is Horizon, the setting of Sinclair Ross’ brilliant classic study of life in the Depression era. Hailed by critics as one of Canada’s great novels, As For Me and My House takes the form of a journal. The unnamed diarist, one of the most complex and arresting characters in contemporary fiction, explores the bittersweet nature of human relationships, of the unspoken bonds that tie people together, and the undercurrents of feeling that often tear them apart. Her chronicle creates an intense atmosphere, rich with observed detail and natural imagery. As For Me and My House is a landmark work. It is essential reading for anyone who seeks to understand the scope and power of the Canadian novel.